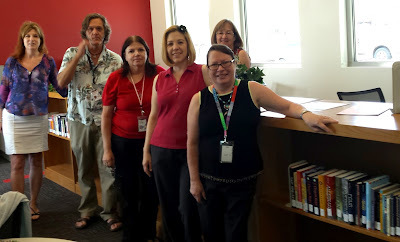 Rio Salado College library employees took a field trip to the Communiversity at Queen Creek on July 28 to deliver and set up the Knowledge Commons library book collection. In addition to Rio Salado's extensive online library, all Rio locations now have library collections of books and DVDs that are tailored to the needs of each local community! The library team received a very warm welcome from Site Coordinator Renee Mesnik and her team, and enjoyed their tour of the facility. Drop by your Rio location and check out the new Knowledge Commons additions! 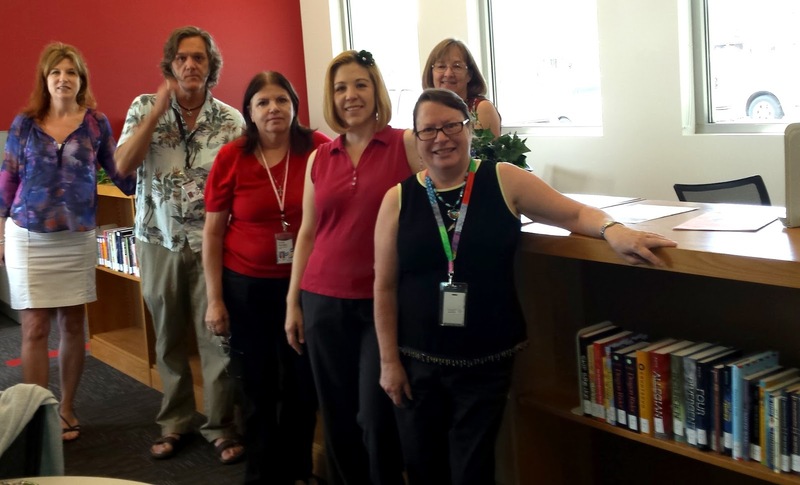 Pictured above: Rio Salado Site Coordinator for the Communiversity at Queen Creek Renee Mesnik next to Rio Salado Library staff: Christopher Orf, Patricia Hansen, Sarah Hall, Melanie Fritz and Janelle Underhill.